Let's take for an example that you have just a standard tuned 7-string. These strings would do just fine for 25.5 scale to keep it in tension. But if we go to drop tunings ex. 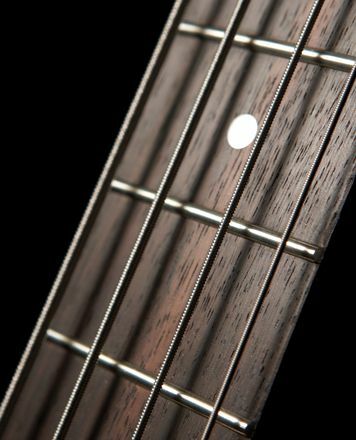 drop A your thickest string will lose a ton of tension which can't be equalized by just these 0.012 of difference between 7 and 6 string. Some of people just like loosy strings, but in this particular case you will get very different tension which can be uncomfortable. For 25.5" drop tuning there should be around 0.068 gauge for thickest and the rest is fine. For 26.5 it will be the most useful but still loosy. For 28" the rest of string can be a struggle. Yet it all goes back to just ones own taste. Research on tension before buying. 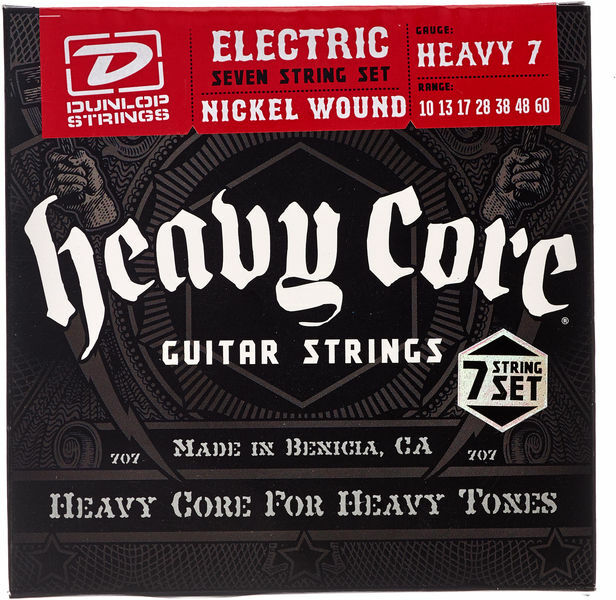 There is possibility to get better results by buying standard 6-string set + one thick string alone for drop. ID: 371268 © 1996–2019 Thomann GmbH Thomann loves you, because you rock!